Coming February 14, 2019. Love is in the air! This Valentine’s Day, hit the slopes at RED Mountain Resort for their Skied Dating event. This resort in British Columbia is just 9 miles north of the US-Canadian border and offers 4,200 acres of pristine skiing and a variety of challenging terrain for all levels of skier and snowboarders. Hopefully meet your sweetheart as you go on a “mini-date” riding up the ski lift. If it’s not a match, don’t worry, just ski back down and try your luck on another ride. 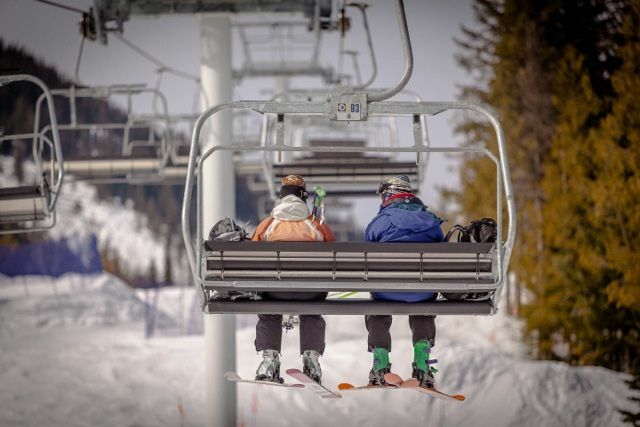 Find love on the lifts at Skied Dating at RED Mountain Resort!